46 other birds have this item in their bag or wishlist! When you need a little bling in your life, then look no further than these glittery beauties from Greenwood Designs. I love these earrings. They are such fun that I wear them whenever I can. The are also beautifully made, so a pleasure to have. 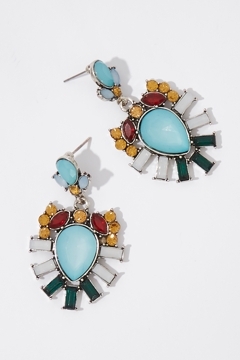 Gorgeous earrings. Go with lots of outfits.